I've said it before and I'll say it again! "Our Dad is MASTER of the grill!" I will never pass up an opportunity to eat one of his Barn Burgers! These burgers are, without a SHADOW.OF.A.DOUBT, the best I have ever tasted! And I'm not being biased! It's just the truth! Tender, flavorful and oh so juicy! My mouth is watering as I type! I've been lucky enough to know the basics of his burger making techniques, but last night he took me through his detailed process start to finish! And we are going to share that process with you right now! Dad says you need to start with the best meat for burgers! His choice is top sirloin! 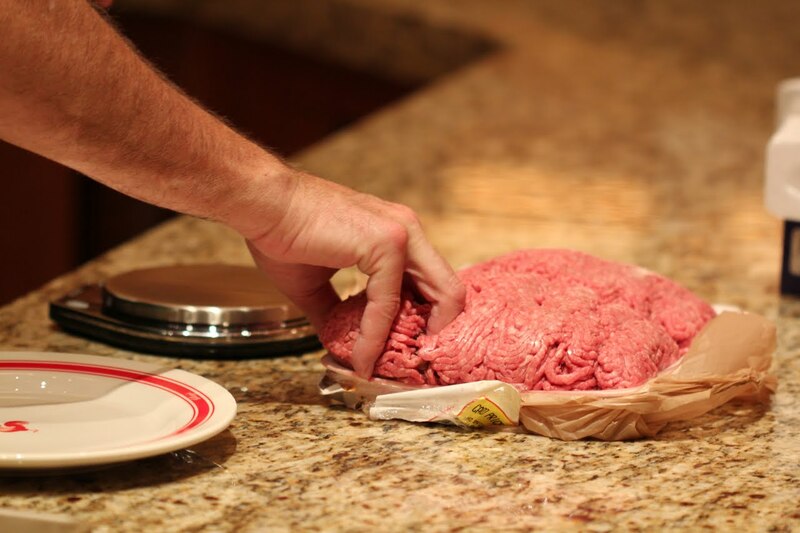 Go to your local grocery store butcher and tell him(or her;) that you would like x lbs of top sirloin(for example 2 lbs of meat will make roughly 5 burgers at just over 6 ozs per burger) with the fat cap left on and run through the grinder 2 times! 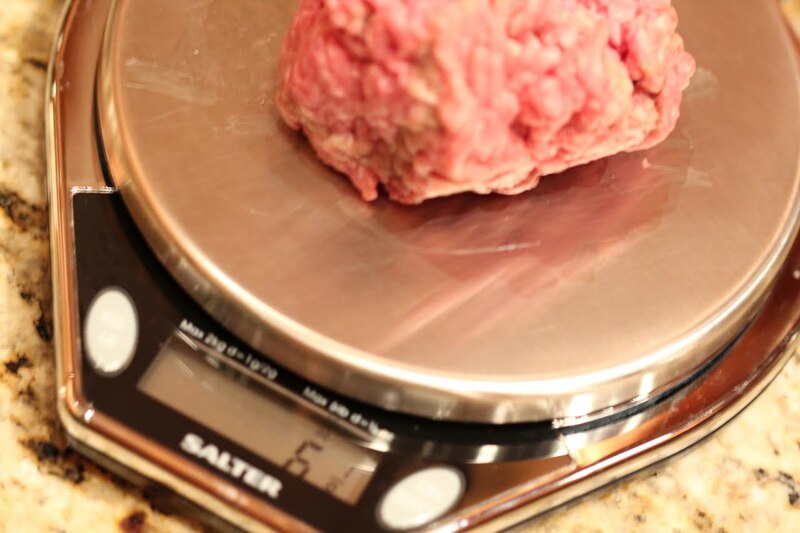 What you are trying to achieve by leaving the fat cap on is the perfect 80/20 lean meat to fat ratio! Dad also says that you should tell the butcher if the fat cap doesn't supply the 20% needed fat, he should add prime rib fat to make it to 20%! 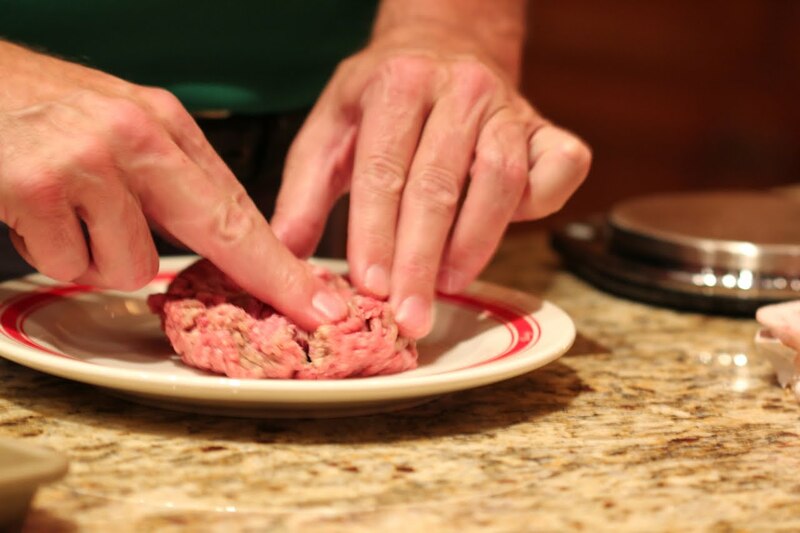 I know this all sounds complicated but once you've done it a few times, it will become second nature to order your hamburger meat this way! From ball form, lightly press from center to edges. 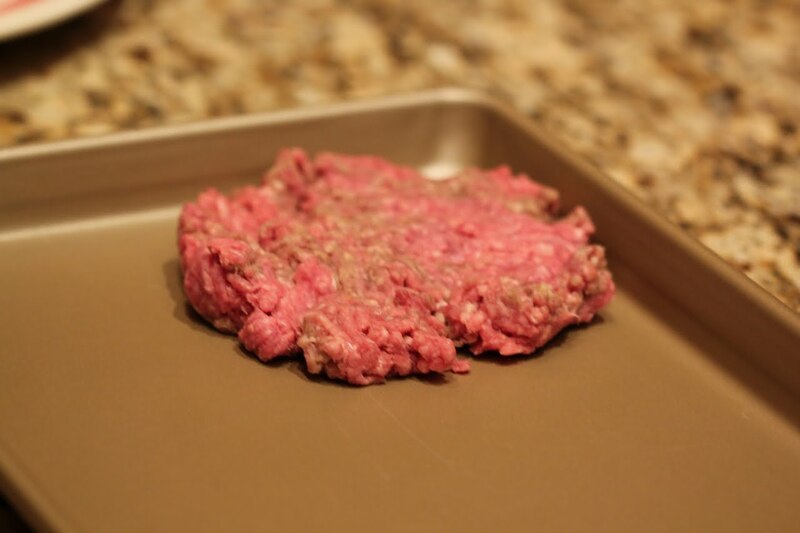 Each patty should be about 1/3 inch thick. Do not pack or press down hard. And don't worry about how uniform the patties look. They will be almost loose enough you may worry about them falling apart on the grill. 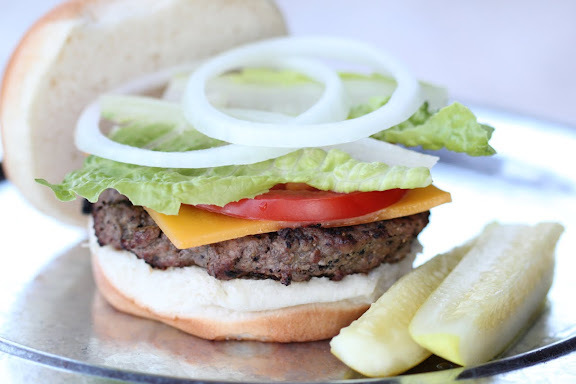 The loose texture creates a more tender and juicy burger. If they are packed too hard the burgers will be hard and dry. 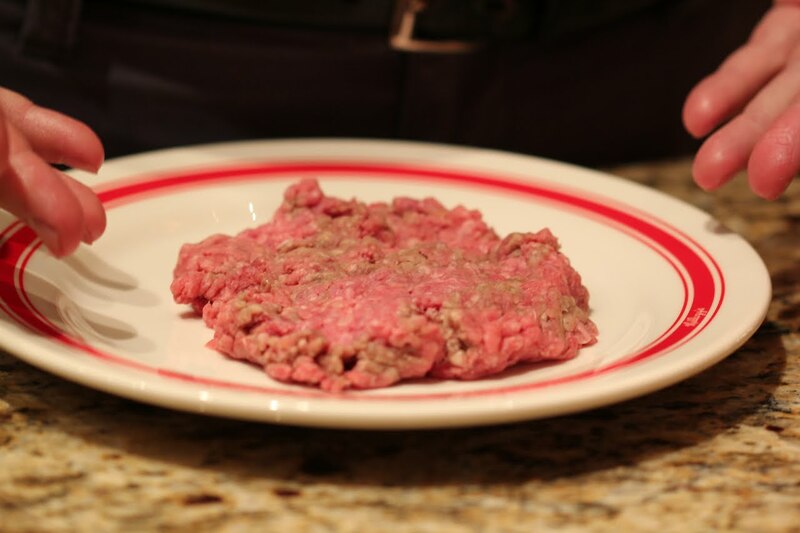 Sprinkle both sides of the patties with COURSE ground pepper. This is so you can actually see how much pepper you are putting on each. 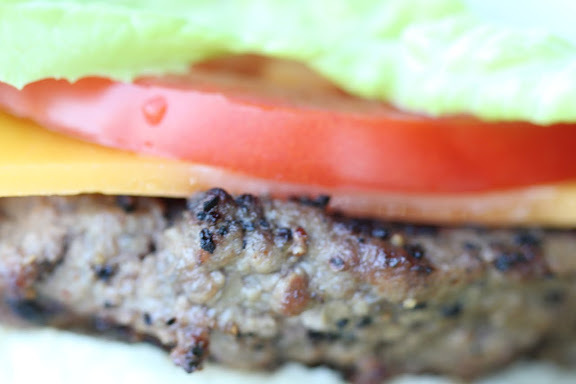 If you use the regular ground pepper, you could end up using too much and over flavoring your burgers. Next sprinkle Lawrys Seasoned Salt on both sides. 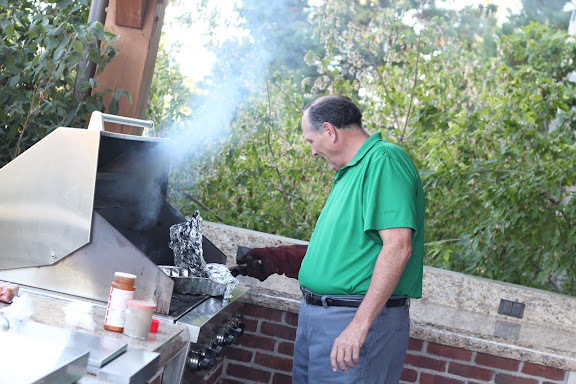 To grill his burgers our Dad uses the searing feature on his grill. It reaches a temp of about 800 degrees. He goes 1 minute per side on sear and then transfers the burgers to the regular part of the grill on high heat for 2 minutes per side. 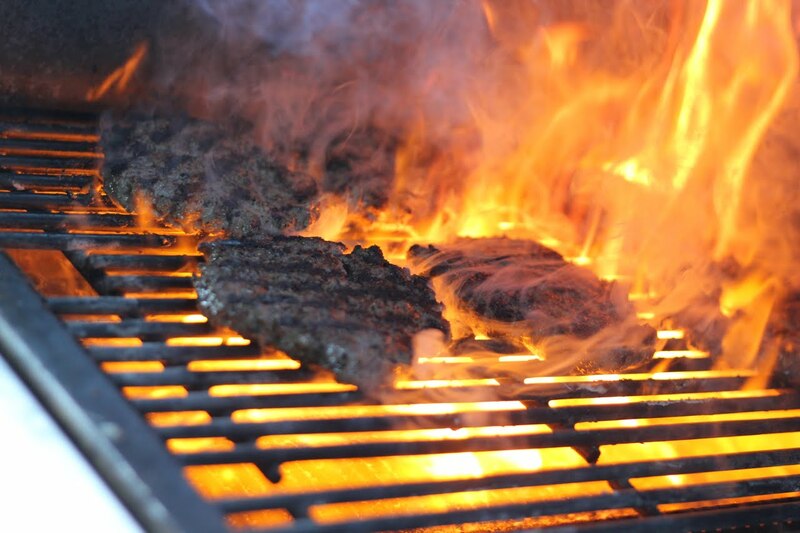 For most of us who don't have the searing feature, grill over high heat for 4 minutes per side. Our Dad's GOLD STANDARD is the minute the juices on top of each burger go from running pink to slightly clear, take them off the heat or they will over cook and become dry! Dress your burger any way you like! It's impossible to go wrong with burgers this GOOD! Thanks for sharing your "Burger Prowess" with us Dad! We love you! I remember the first time I had a barn burger. I wanted to ask about the recipe so bad but figured it was so good that it must be a heavily guarded secret. I remember the buns being delicious when I had them - do you know what kind your dad gets, or are those a from-scratch special recipe too?